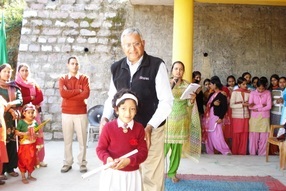 Mission: To support and promote high quality education of children, especially girls, in a remote area in the foothills of the Himalayan Mountain region in India. Currently supporting Gayatri Public School (GPS) A not-for-profit English language high school. We at HHCF strongly believe that an educated world is a much better world. Providing high quality education need to be a key mission for all us. Imparting high quality education is the only way we can alleviate poverty, hunger and provide a better quality of life for all the future generation to come. 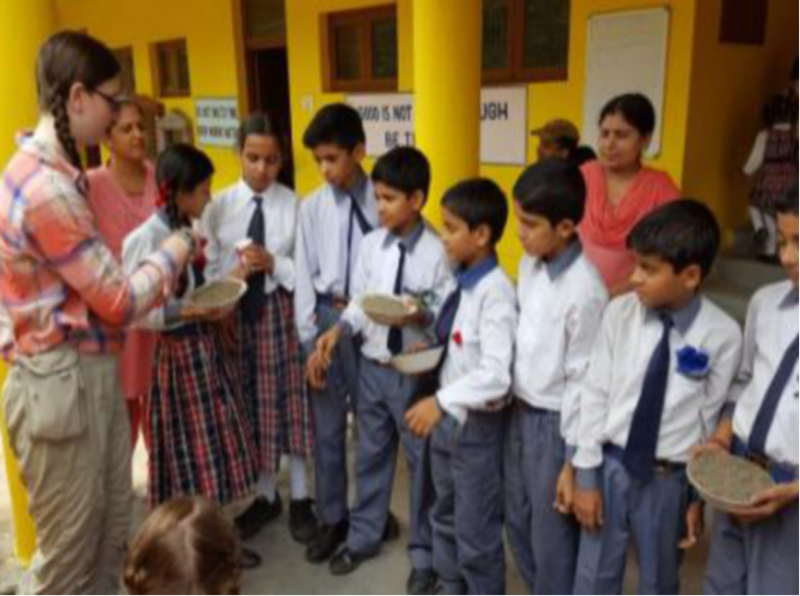 Gayatri Public School (GPS) is a not-for-profit English language high school in a remote village in the foot hills of Himalayan mountain region in India. The total yearly operational budget (expense) is around $60,000 ($5000 per month). 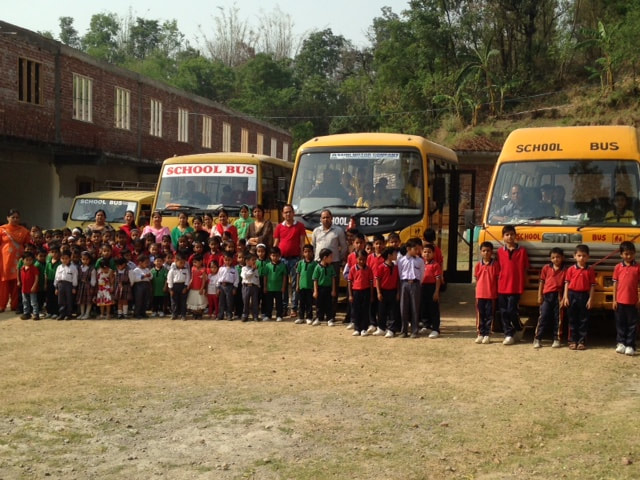 GPS generated $2000 per month from tuition and transportation fee etc and the operational monthly deficit of around $3000 is funded by Himalayan Hope Charitable Foundation. With the increased enrollment and better quality of education, hopefully GPS will be self supporting with in three to five years. Tin Roof for School Building:. GPS building is 220 feet long and 40 feet wide with fourth floor just completed. Needs a tin roof for the entire building to protect it from heavy rains in the area. Total cost of this project (Tin roof) will be around $60,000. We need to compete this before the next rainy season in July-August 2019. Small contribution from lot of well wishers will certainly help a lot to finish this important task. Physics Lab. To upgrade to meet high school to meet (11th and 12th grade) requirements. $2500. Solar Panels for Solar Energy - Once Tin roof and paining is done then the last task is to have solar panels to have continuous power supply for the school.​ This will cost around $25,000 with some State Govt. help..
A New School. Bus: There will be an increase in the students strength because of 11th and 12th class starting in 2019 and high quality of education in English language in this remote area. How Can I Help Right Now? Building is still under construction and needs additional resources over and above to meet the funding gap in operational budget. A small contribution from lot of well wishers and friends will go a long way to meet the current urgent needs and funding gap in operational budget. 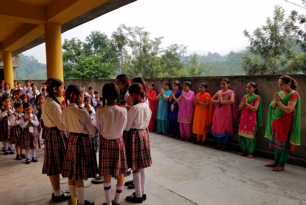 We hope and pray that you will find a small place in your heart to support this worth while cause of providing high quality education, especially to girls, in a remote village in the foot hills of Himalayan mountain region in India. ​100% of your donation / contribution goes meet these urgent needs. Learn about the inspiration behind the Himalayan Hope Charitable Foundation! Meet the current board of directors. Read more about Gayatri Public School and HHCF's additional projects! Find out more about GPS Marathon and the Educational Institute. and get inspired! Discover the how you can support this noble cause! Gayatri Public School is a Drexel University Co-op and a Villanova University students are establishing STEM programs.